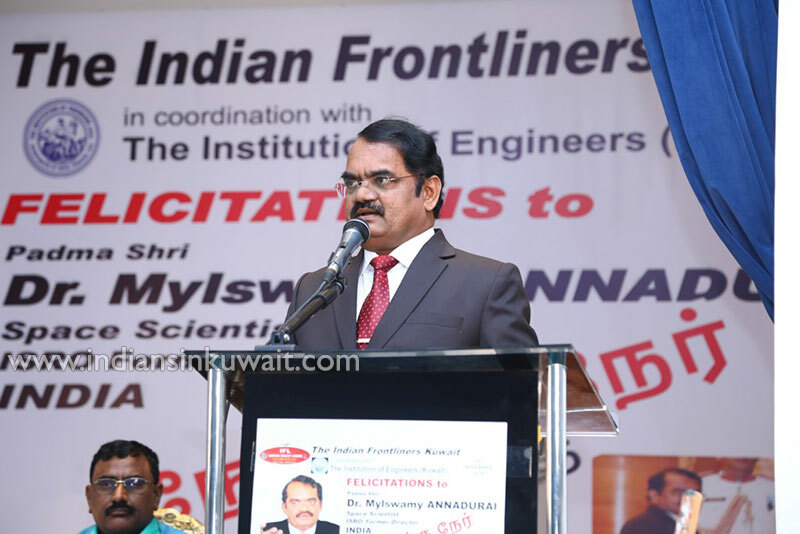 Padma Shri Dr. Mylswamy Annaduraiis a distinguished Space scientist worked with the Indian Space Research Organisation and served as Director, ISRO Satellite Centre, India. 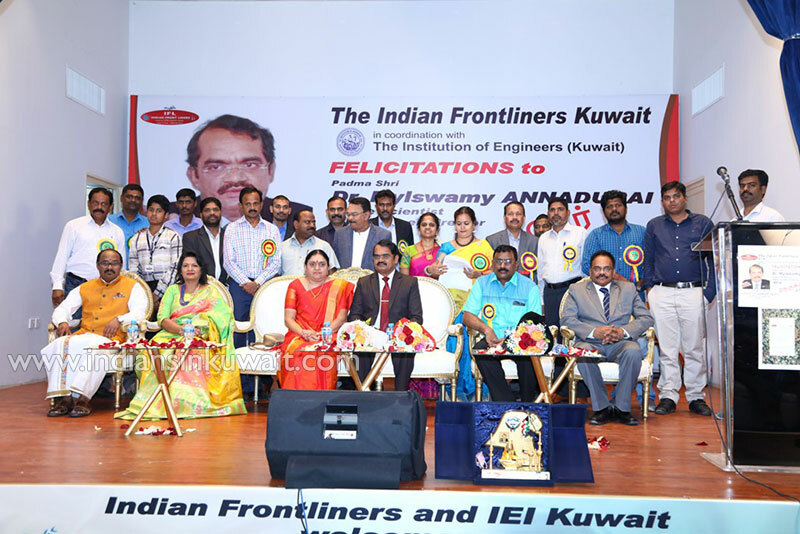 Annadurai was listed among 100 Global thinkers of 2014 and topped the innovators list. 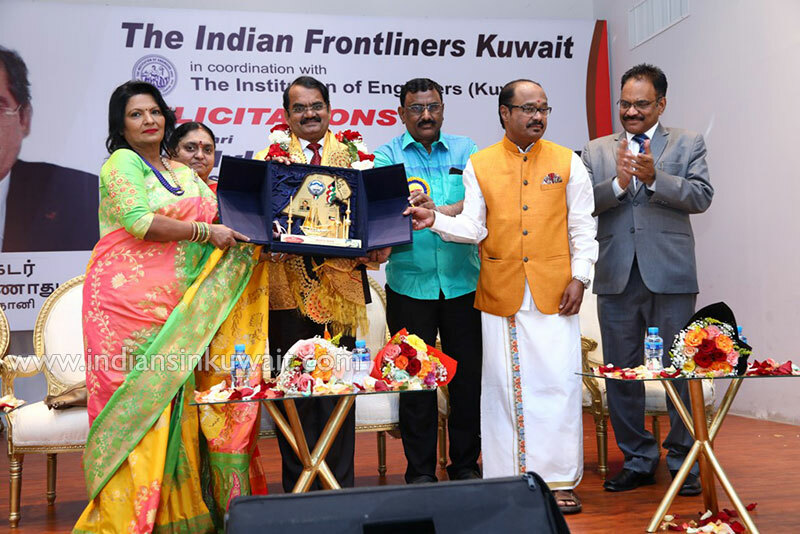 Dr. Mylswamy Annadurai is visiting Kuwait for the first time to attend 51st Engineers’ Day celebrations at the Institution of Engineers (India), Kuwait Chapter. 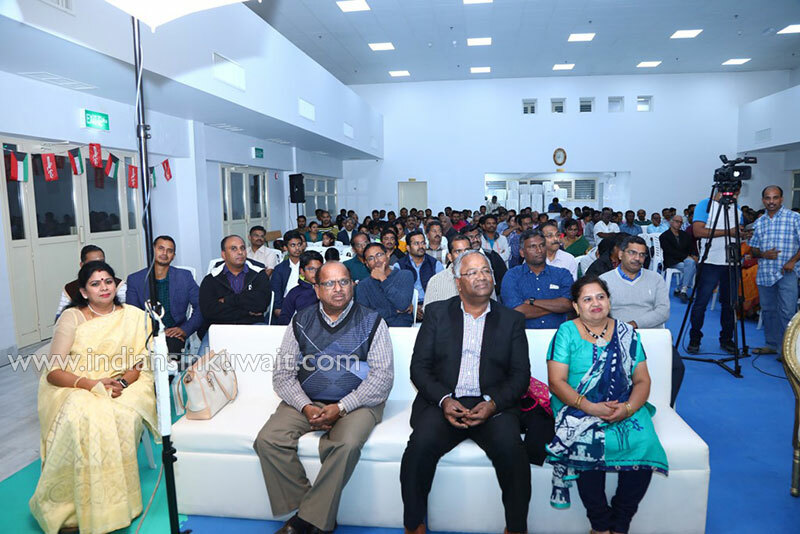 IEI’s Chairman Dr. Mahendran was kind enough to bring this eminent personality to the Indian Frontliners on 25th November 2018 where he met with the Indian students and parents and gave an inspiring speech. 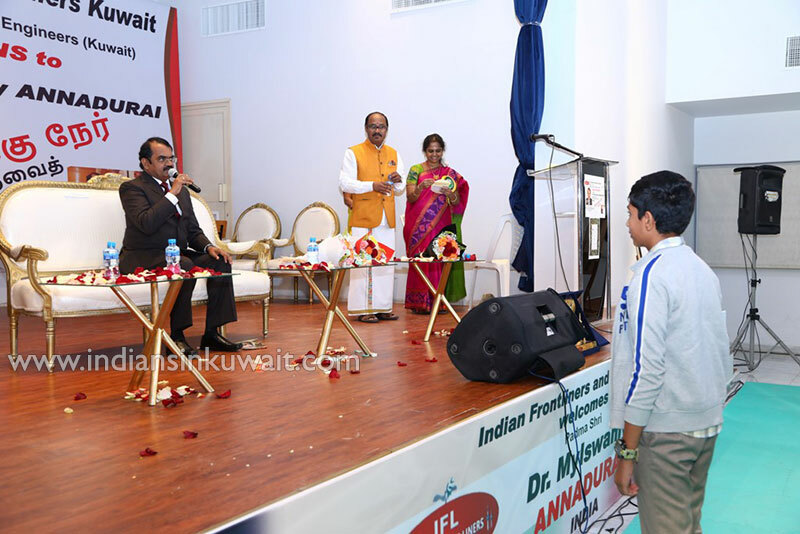 Also, he had a long Q&A session and inspired many of the young budding Indian school children in Kuwait. This “NerukkuNer” interview with the public stole the show. 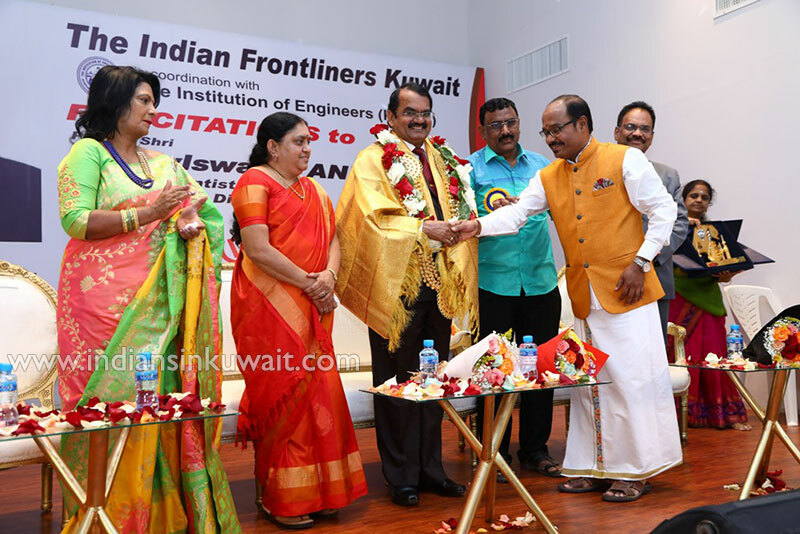 It was a great honor to receive him at the IFL, Kuwait. 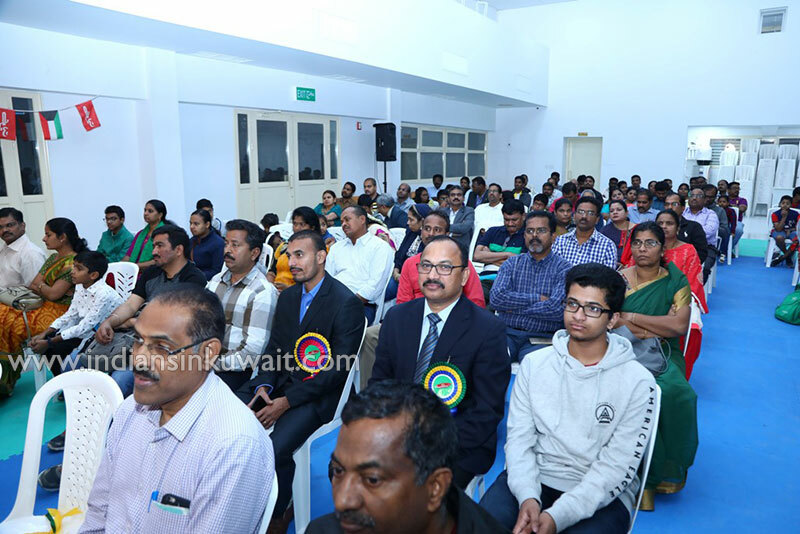 The enthralled crowd occupied the auditorium at Global English Indian School, Fahaheel for this 2 hours fully packed program in spite of heavy traffic and the rain forecast. 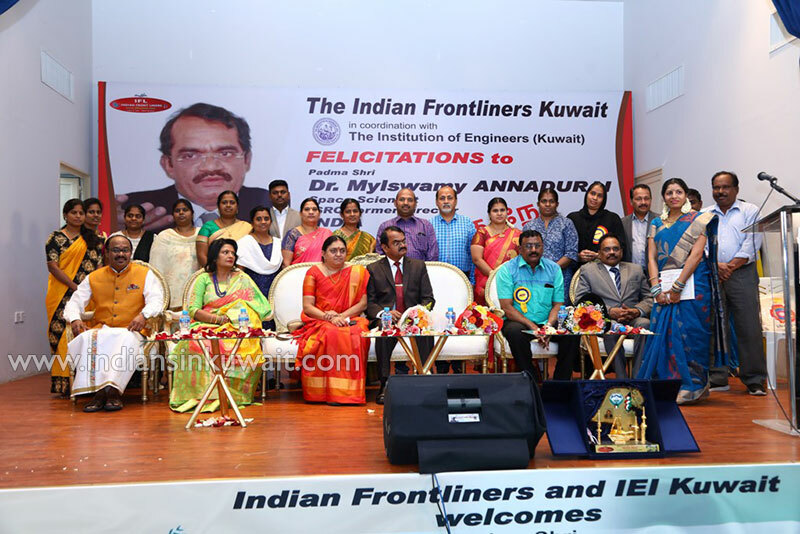 Dr. Mylswamy Annadurai was honored by IFL founder Writer N.C. Mohandoss & Team, with the award title “MARS MAN” and he acknowledged this as his 76th Award. 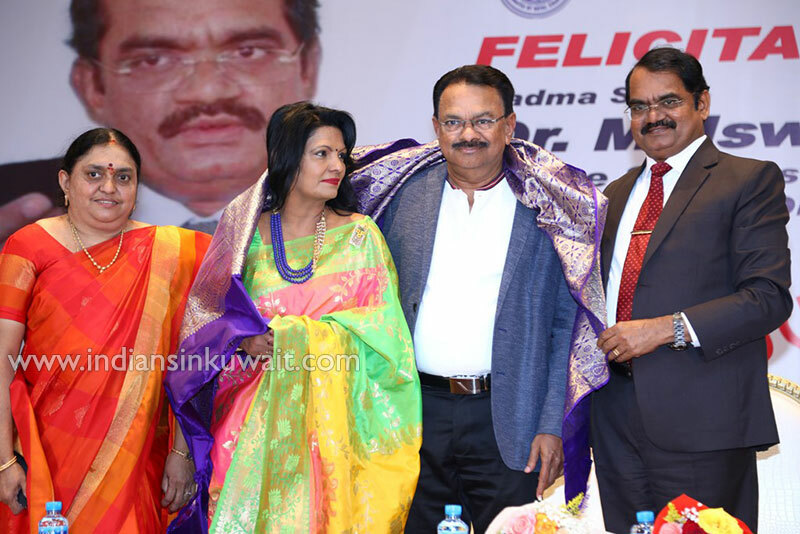 It was a proud moment for all the Indians in Kuwait and the Indian Frontliners to honor him with this coveted title. 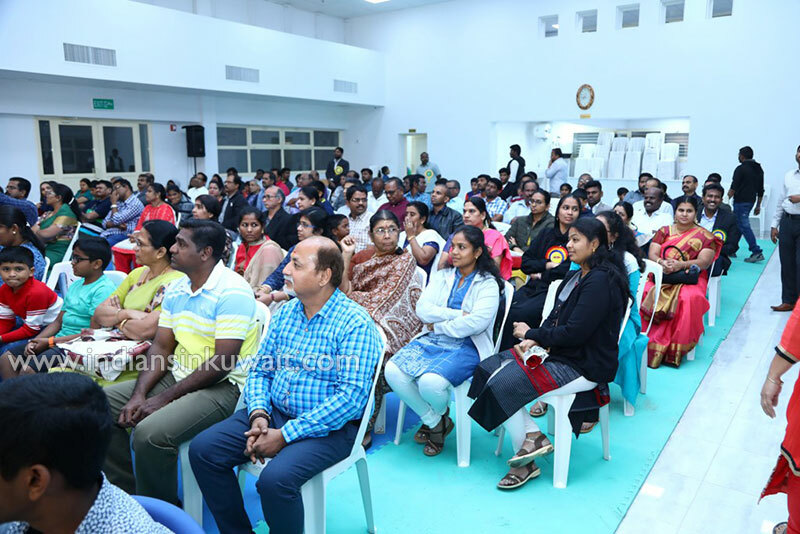 Dr. Annadurai presented certificates of merit to all the Tamil Teachers of Nandavanam Family Association and Senthamil Kalai Mandram for their services. Also, he appreciated 3 students for their proficiency in the field of Science. 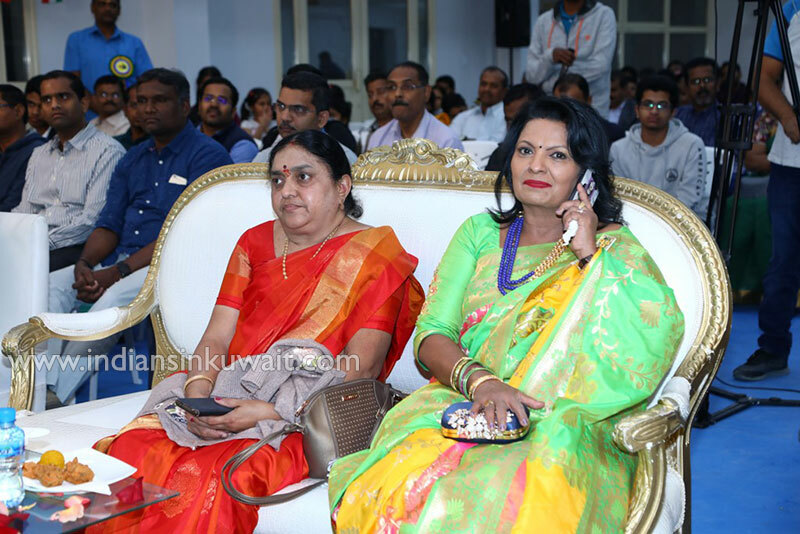 The program was compiled by Mrs. Priya Ambal and Mrs. Vijayapriya Ramanan in their usual style. 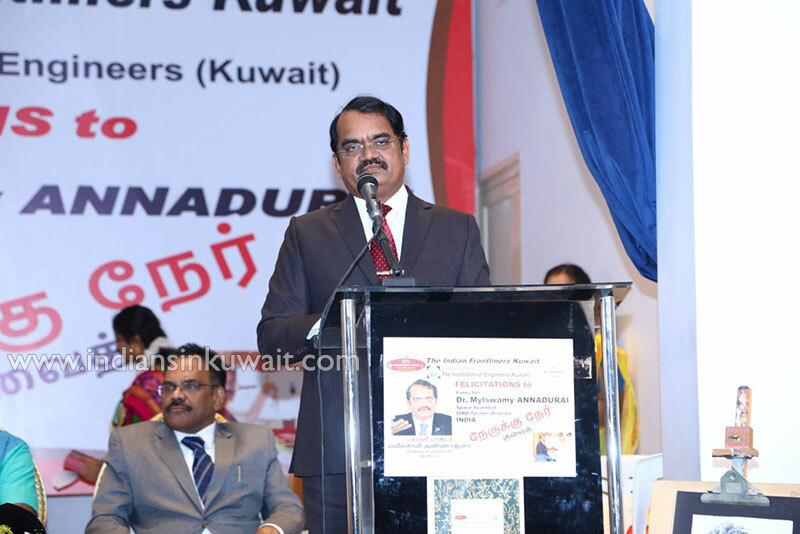 Vote of thanks done by C. Lakshman. 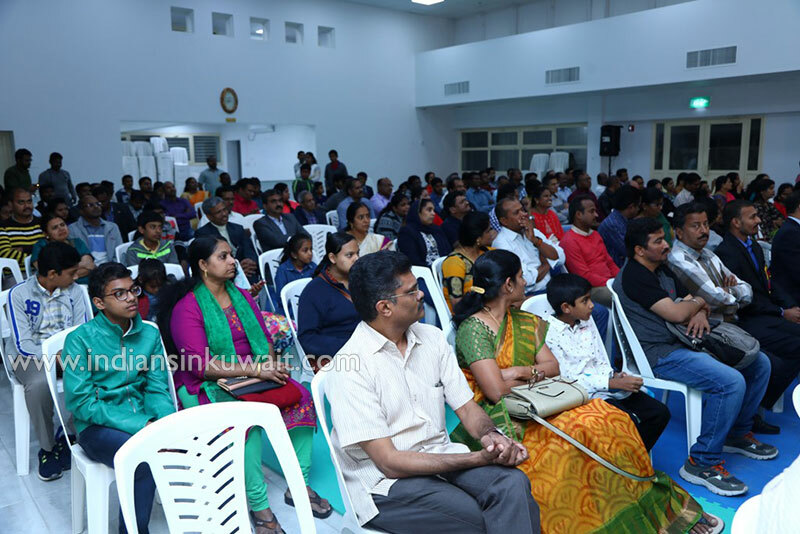 The event organizer Hari Lakshmanan welcomed the gathering. 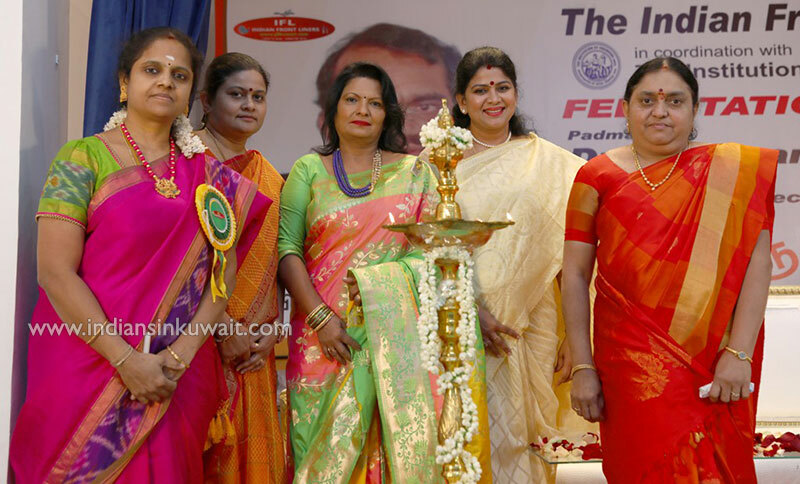 President Dr. Ananthi Natarajan introduced IFL social activities to the Chief Guest. IFL Vice-President Er. 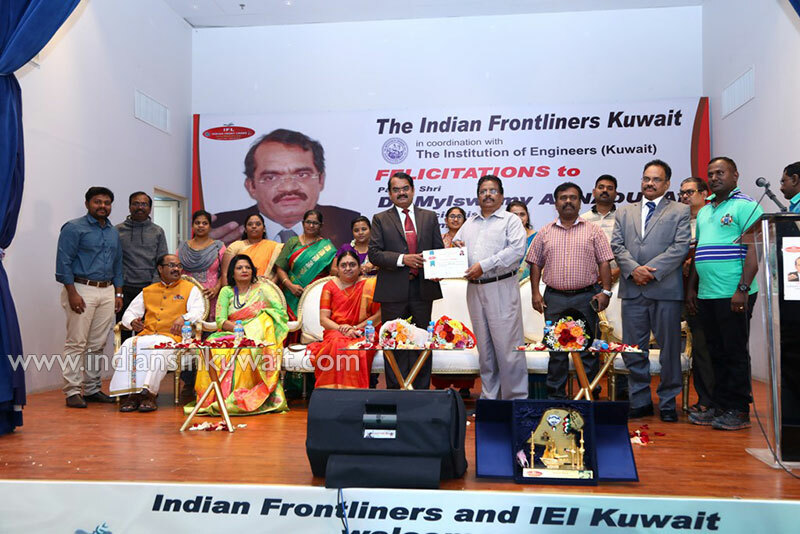 Senthil Kumar presented IEI Chairman Dr. Mahendran with a citation letter of award for their generosity. 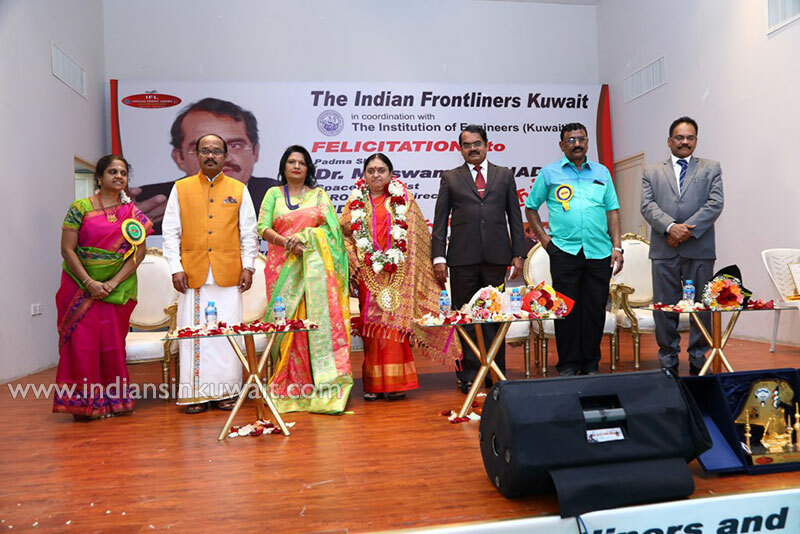 With the standing ovation Mrs. Padmavathy Senthil Kumar introduced Dr. Mylswamy Annadurai to the audience. In his speech Dr. M.A insisted on ‘Questioning’ attitude to reason out and grow to the next stage. His speech and Q&A session was very useful. 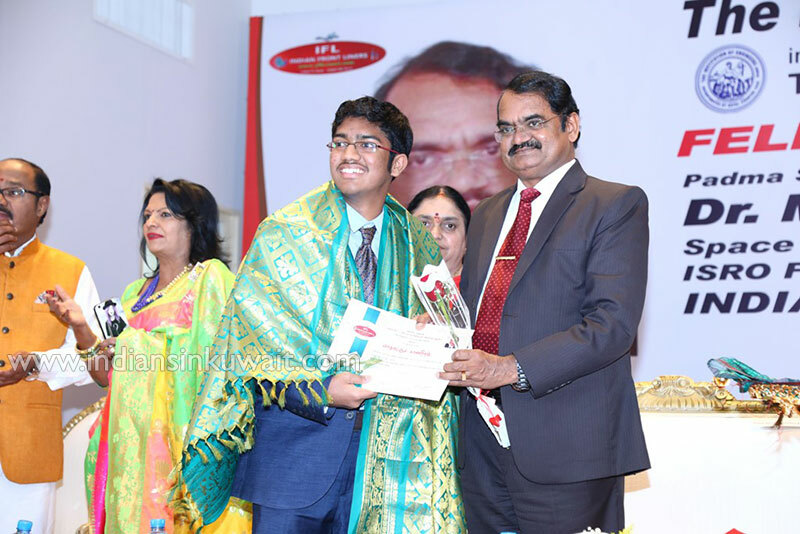 He encouraged the students to become more successful in their life and come up with the dreams they want to become. 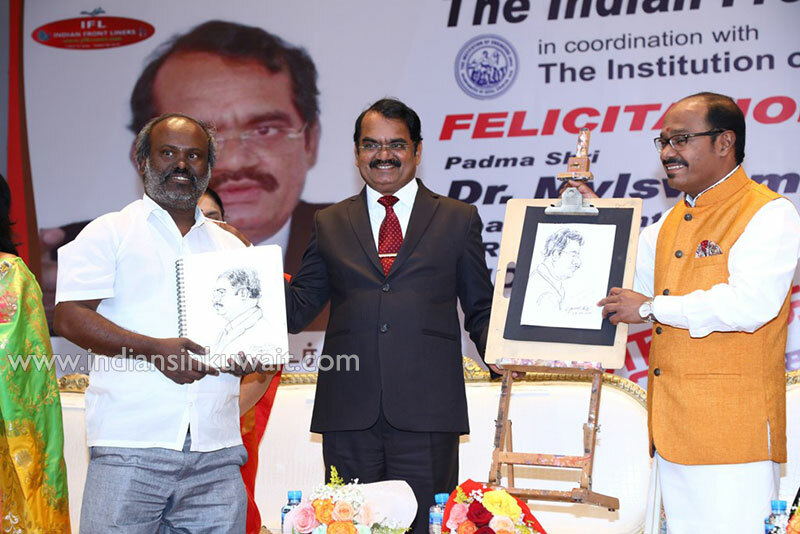 Artist Kondalraj sketched live portrait of him during his speech and was well appreciated by Dr. Mylswamy Annadurai. 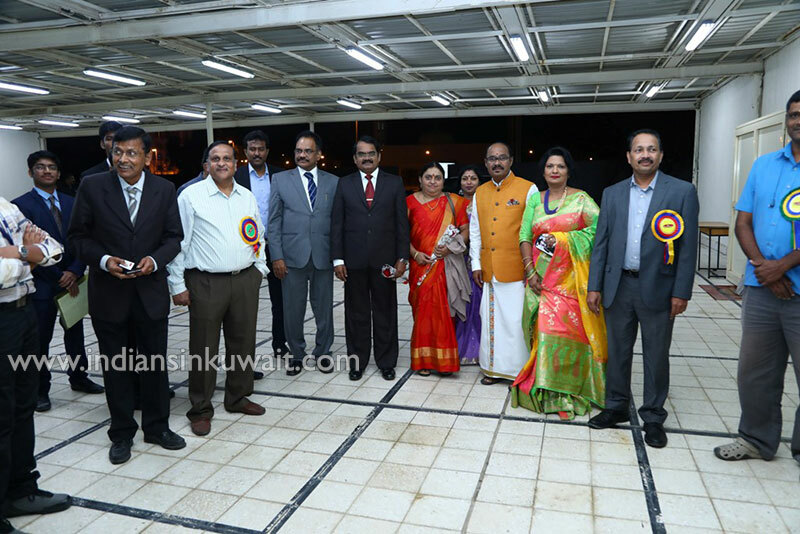 Dr. Annadurai is the recipient of many awards and honours. He was the recipient of one of the highest civilian awards in India “Padma Shri” in the year 2016. 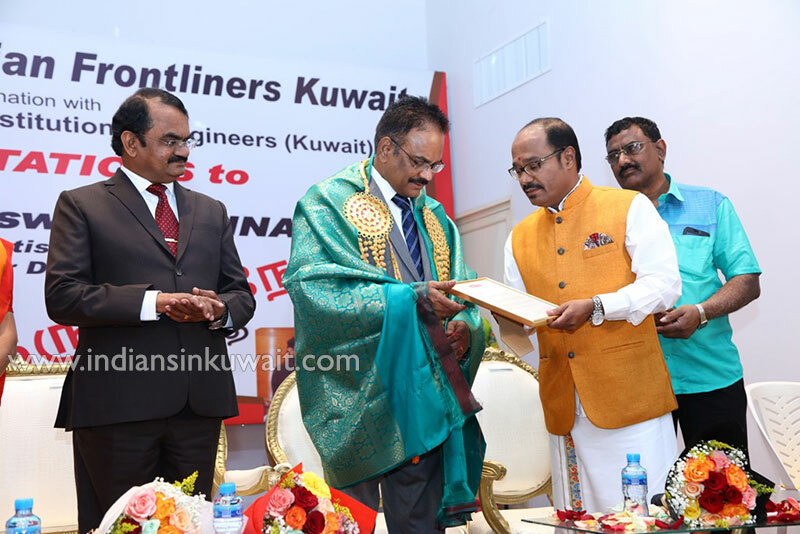 He has been conferred Doctor of Science (Honouris Causa) by many universities around the world. He has received several awards. 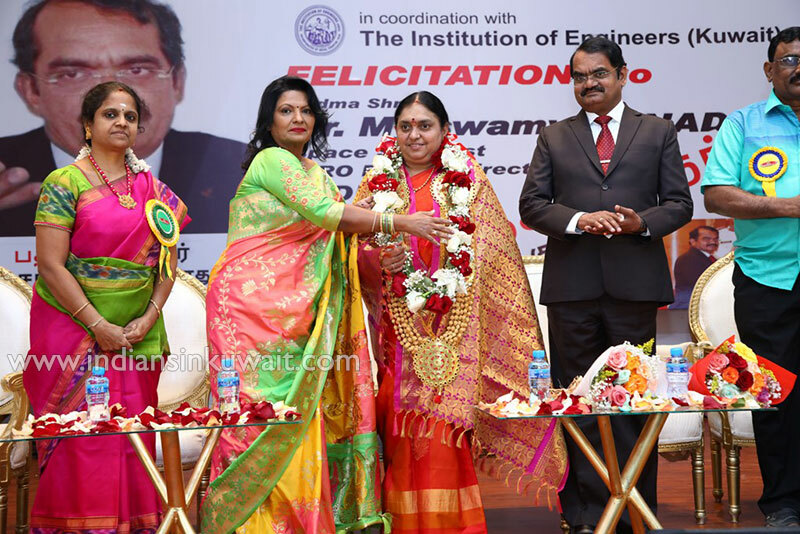 “Out-of-the-box ideas helped Chandrayaan-I. 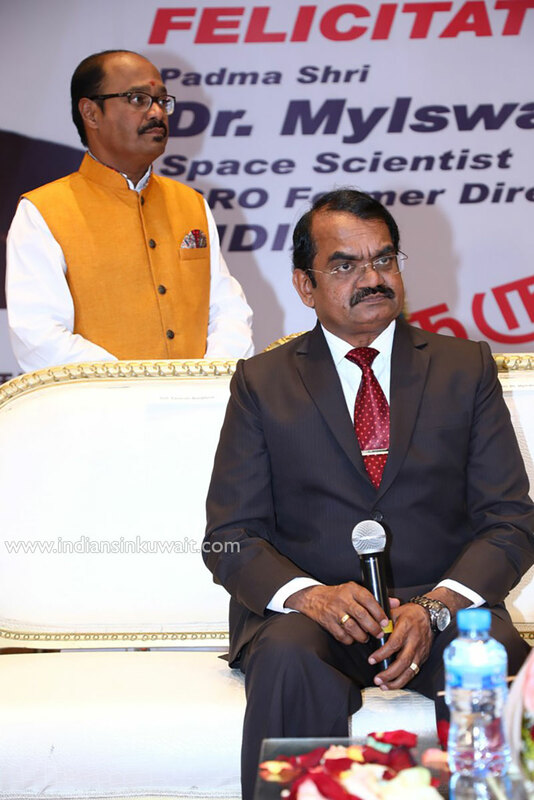 In 2008, his first successful mission in ISRO was Chandrayaan -1. It was India’s first mission to the moon launched by ISRO. 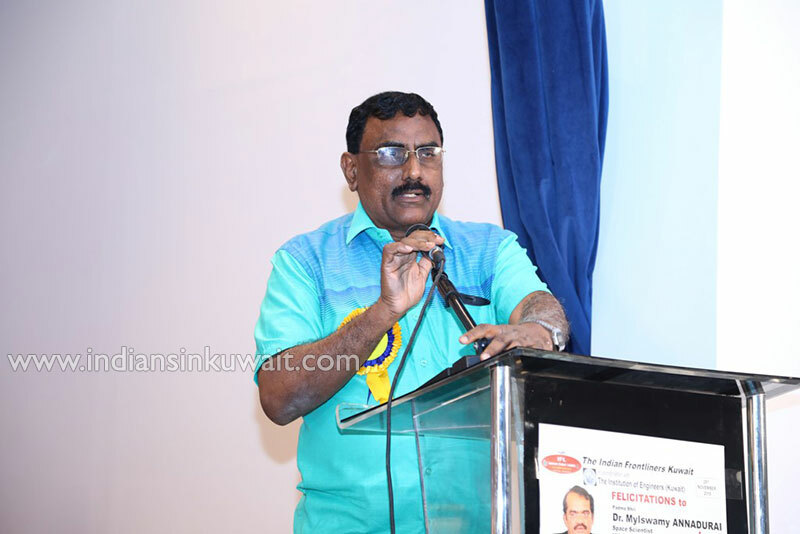 Annadurai was the Program Director for India’s lunar probes Chandrayaan-1 and Chandrayaan-2. India's Chandrayaan-1 spacecraft has created the first global map of water in the Moon's soil. 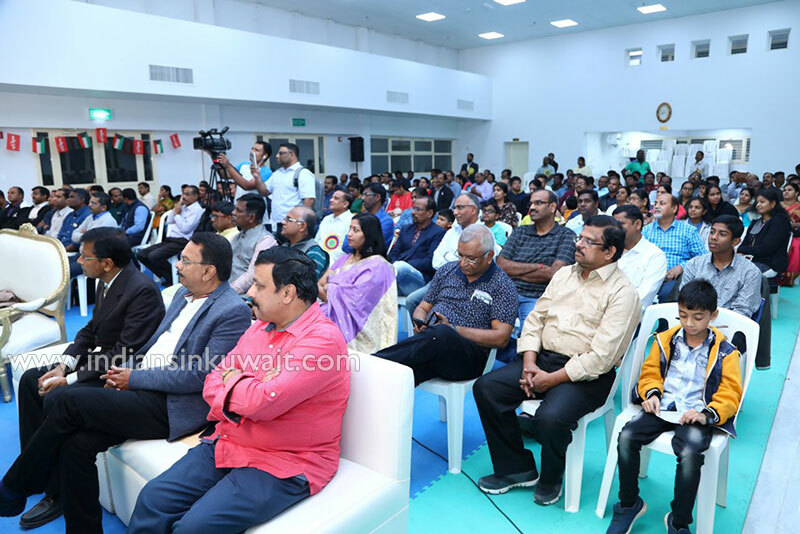 In the 60s and 70s, people who landed on a Moon, they didn’t confirm.Now, the Indian flag is flying there and is paving the way for future generations andtravel from Moon to Mars is relatively cheaper than from the Earth. 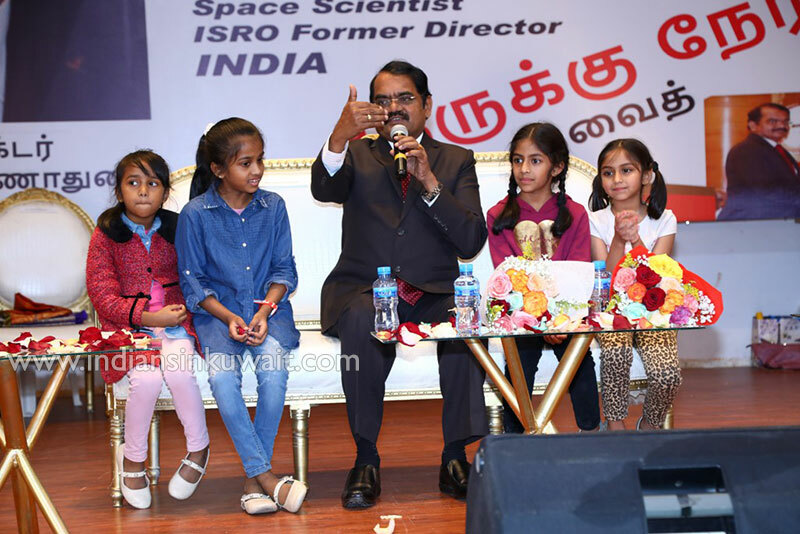 A mission like Chandrayaan-I opens up new vistas,” he explains. 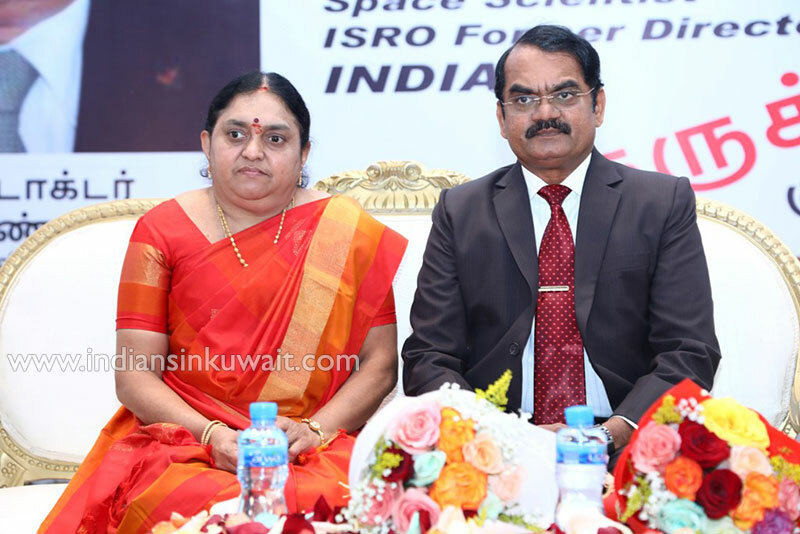 During the period 2004-2008, as the Project Director for Chandrayaan-I, he led a team of engineers and scientists that designed and developed the project to carry instrumentation from ISRO and from NASA, ESA, and Bulgaria to accomplish simultaneous chemical, mineralogical, resource and topographic mapping of the entire lunar surface at high spatial and spectral resolutions. 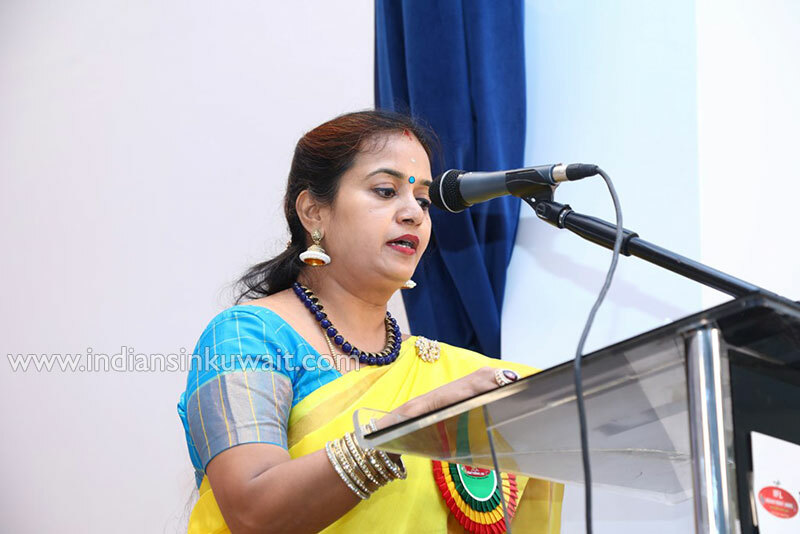 Chandrayaan-1 was well praised and received many awards including Space Pioneers award for science and engineering at 28th International conference on Space development, in Florida USA in 2009. 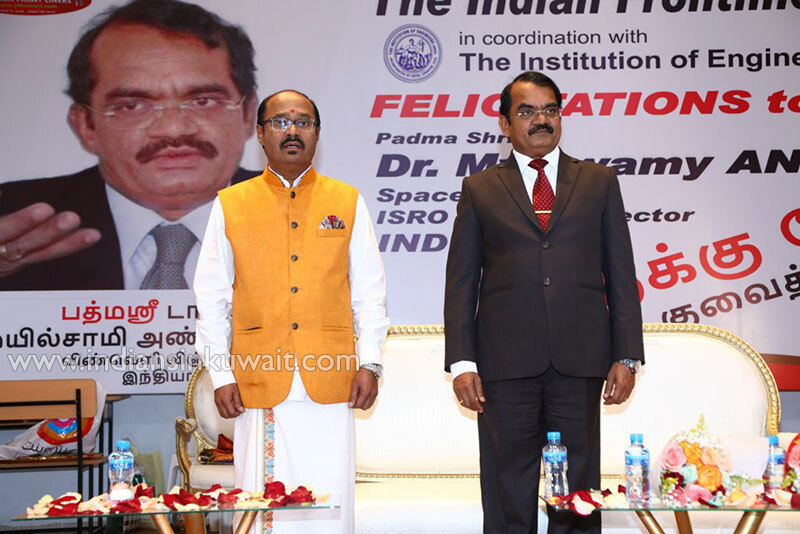 In 2011, Dr Mylswamy Annadurai became the Program Director of Indian Remote Sensing Satellites (IRS) and Small Satellite Systems (SSS) and realized five satellite projects. On September 24, 2014, India achieved an incredible feat in the space technology field. In its maiden attempt, India became the first Asian Nation to reach the Mars orbit, and the first Nation in the world to do so in its first attempt. 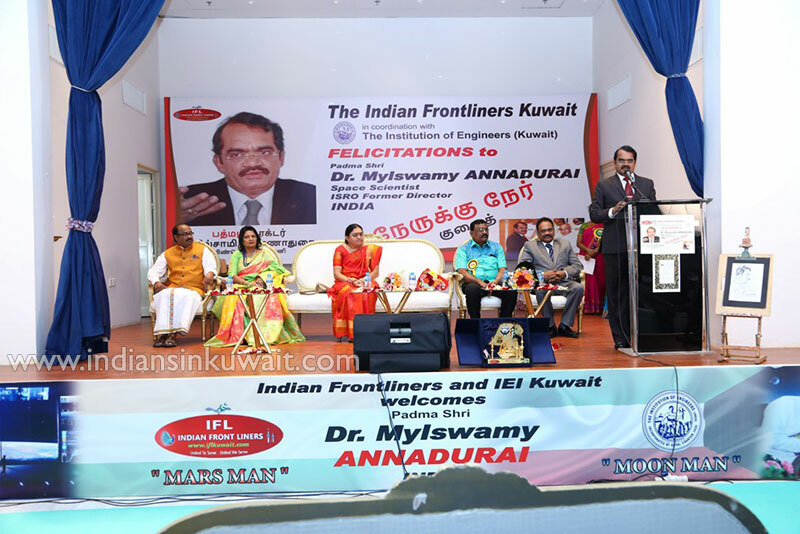 One man who held it all together and made us proud is Dr Mylswamy Annadurai. India's $74 million Mars mission cost less than $100 million 'Gravity' movie. India's space agency put the satellite into orbit for a fraction of what other nations have spent.For example, the U.S. Maven mission to Mars that cost $671 million. The European Space Agency's 2003 mission to Mars had an initial budget of nearly $200 million.The Mars Orbiter Mission was launched on 5 November 2013. After travelling 670 million kilometers, reached the planet on 24 September2014 completing its 300-day journey. 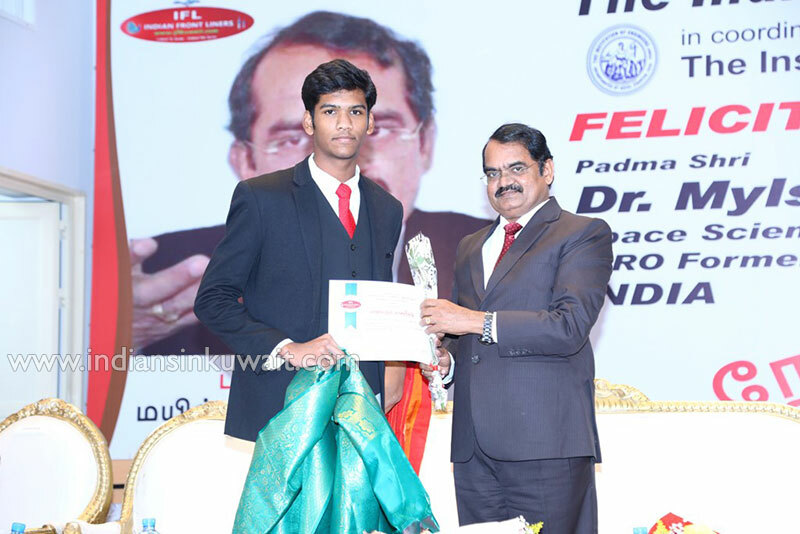 Apart from his scientific work, he has got fervor onTamil language. 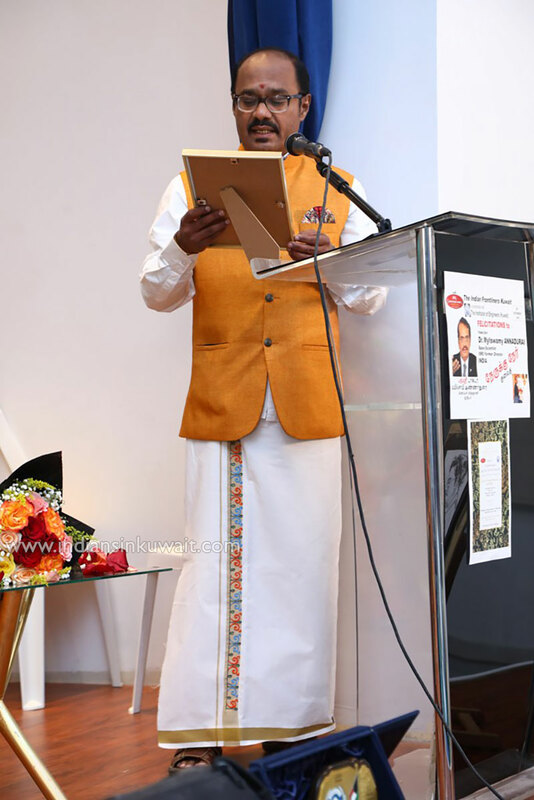 He is honorary author of ‘Valarum Ariviyal’ magazine. 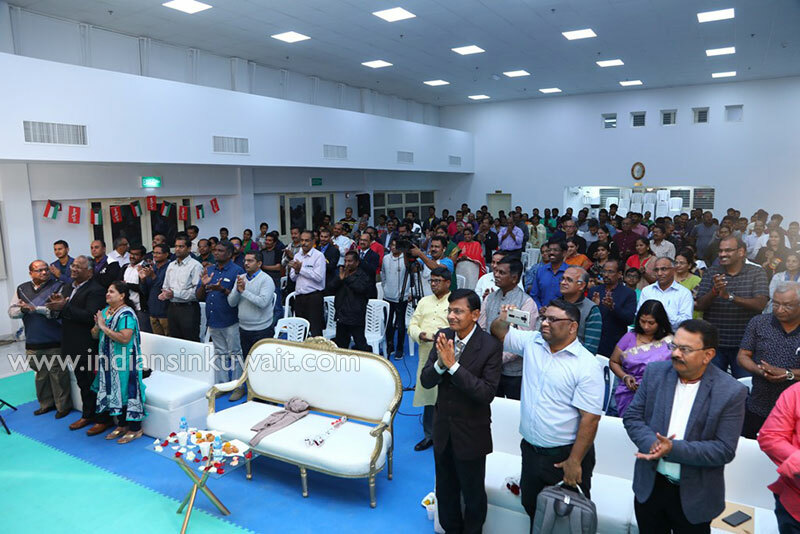 He is proficient in both languages Tamil and English, a good orator, poet, essay writer and more than all he is the best human being whose heart is filled with humanity. 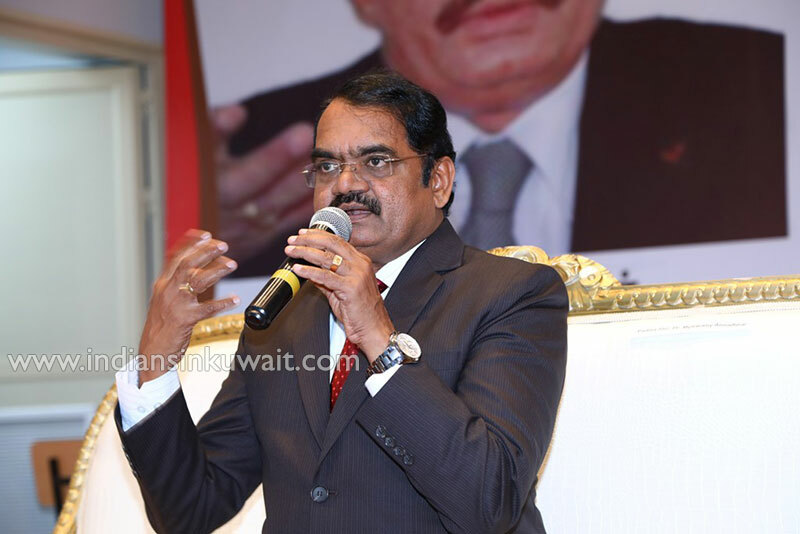 He has written three books in Tamil namely, "Kaiyaruke Nila", “Siragaivirikkum Mangalyaan” and "Ariviyal Kalanjiyam". 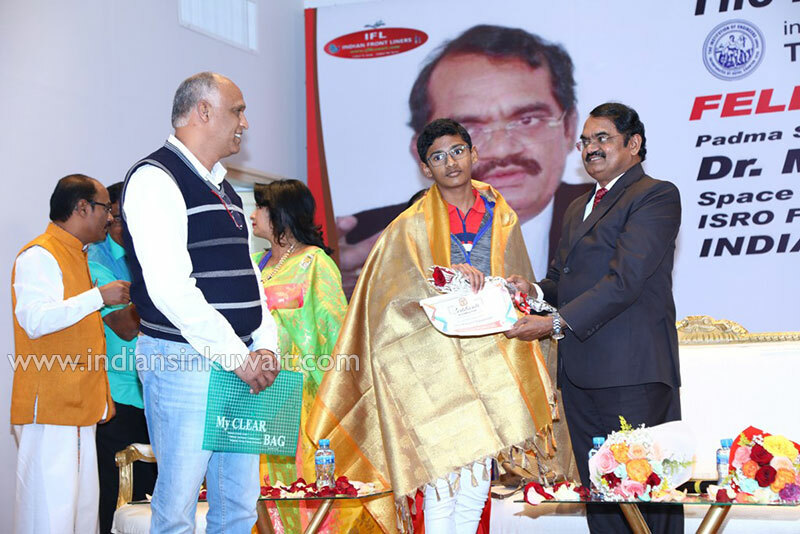 The Book" Kaiyaruke Nila" has won S. P. Adithanar Literary award for the year 2013. He also authors a book "Kaiyaruge Sevvai". 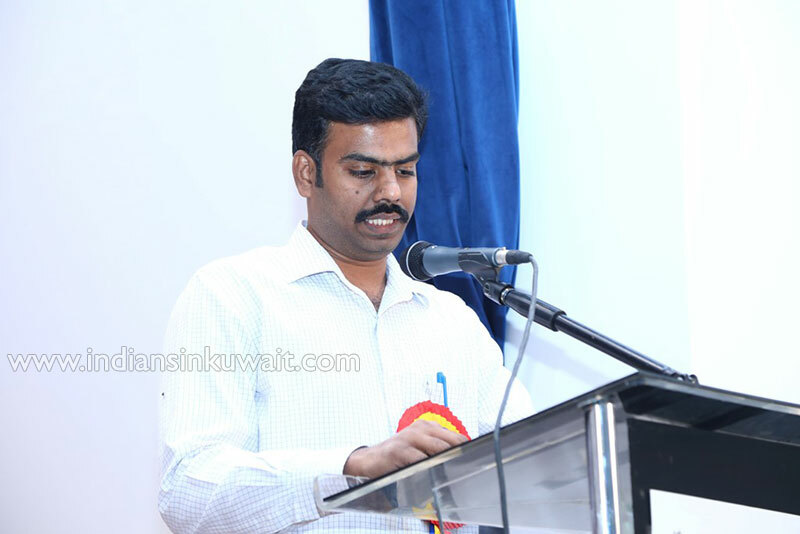 He writes regular weekly columns in Tamil periodicals to explain rocket science in simple language to inspire the youth. 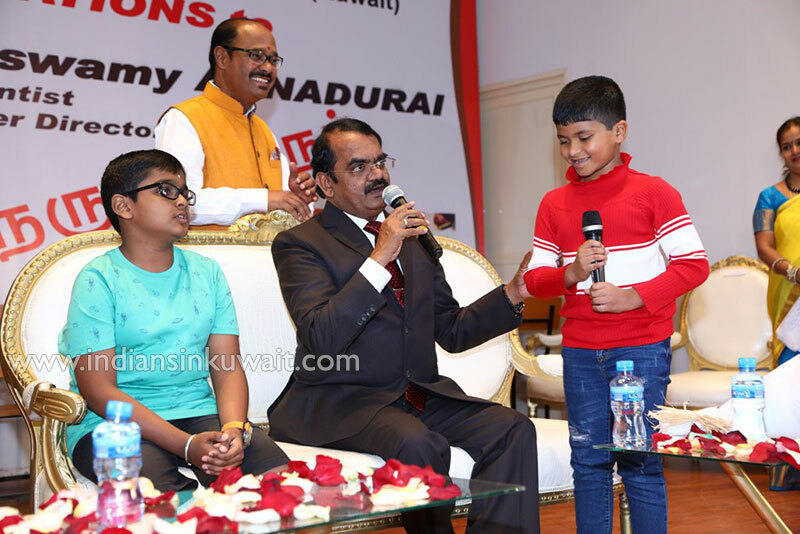 Also, during holidays, Annadurai loves to tour across the country, meeting and interacting with the students to spread awareness on science and technology. He tells the youngsters to value every minute of their lives. "Opportunities are plenty. 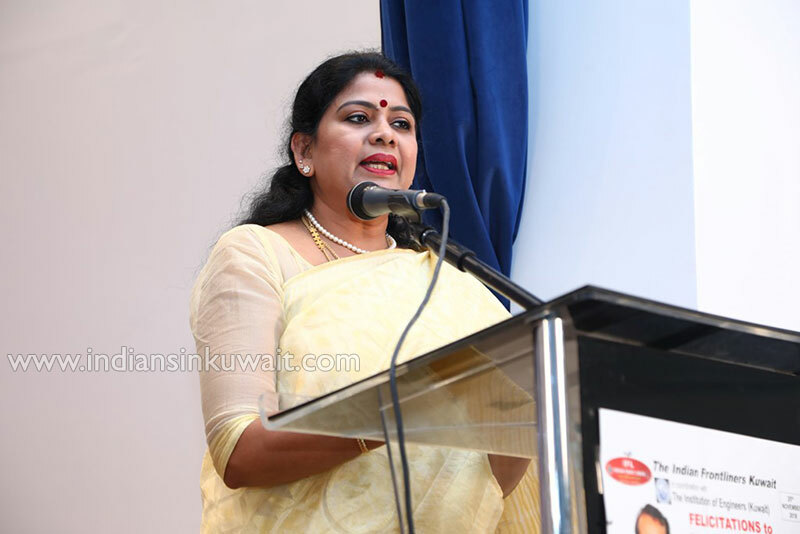 And, you can make many more Chandrayaans."